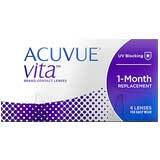 ACUVUE contact lenses are a globally respected brand manufactured by Vistakon. 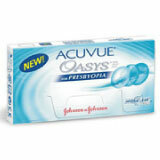 In 1988, Vistakon made headlines with the debut of ACUVUE; the world's first disposable contact lenses. The company has grown immensely since. Vistakon is a subsidiary of Johnson & Johnsons Vision Care and is headquartered in Florida. 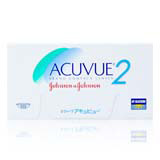 ACUVUE contact lenses are however used by millions of people across the world - from America to Australia. 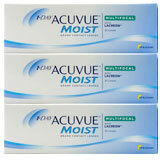 There are different ways of ordering Acuvue contact lenses. Ordering online is the easiest. Contact lenses have evolved since the early installments made out of glass. 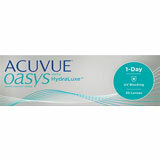 ACVUVUE contact lenses are manufactured out of hydrogels and Silicone hydrogel. This allows the lens to deliver higher percentages of oxygen to the eyes. 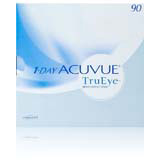 Some of the ACUVUE contact lenses, when worn, are capable of allowing close to 98% of the available oxygen to reach the eye. 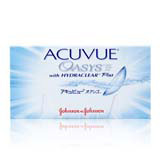 ACUVUE contact lenses are made out of four major types of hydrogels; Senofilcon A, Galyfilcon A, Etafilcon A and Nerafilcon B. 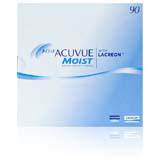 The LACERON technology functions by creating a soft cushion of moisture over the lens. This reduces almost 50% the amount of friction found with other lenses. The LACERON technology ensures that the moisture remains in place even when you blink, allowing the eyelids to glide naturally over the lens. The LACERON technology also optimizes the wettablity of the lens by adding the wetting agent directly to the lens formula. This ensures that it remains in place all through the day and is not lost gradually - as is common with other lens makes. 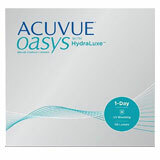 Acuvue's HYDRACLEAR and HYDRACLEAR PLUS are first and second generation technologies that increase the wetness of the lenses with the addition of a unique hydrophilic agent. 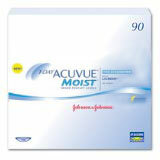 The enhanced moistness factor allows the lens to rest naturally against the eyes, mimicking the sensation of tears. 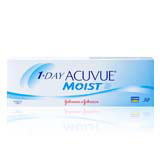 ACUVUE lenses offer better wetness than many other models. The results are so natural that people may actually feel like they are not wearing any lens. 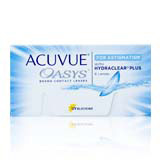 Acuvue contact lenses improve on the standard ballast design with the company's proprietary BLINK STABLIZED design. The Blink stabilized design offers four different stability zones instead of the lone zone offering found with BALLAST designs. 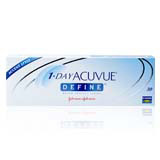 This ensures that the lens stays in the right position even with constant blinking; Acuvue's BLINK STABLIZED design is also not as affected by gravity. Users are therefore able to enjoy a wider range of movement including lying down. 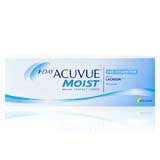 ACUVUE contact lenses can be delivered to most locations within Australia. Members of private health funds can claim rebates on their purchase by choosing to order their lenses online from recognised vendors. 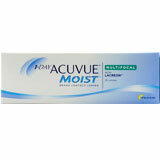 Contact Lenses Online is affiliated with most of the major health funds in Australia. Buyers can also enjoy cheap discounts on their purchase with our cheap prices. Eye disease that affects the eyelids, cornea or conjunctiva. Allergy to any of the compounds used in the manufacturing of the lens. 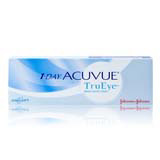 People who experience any irritation when wearing ACUVUE Contact lenses are advised to immediately take them off and seek the advice of a doctor or optometrist.